The Inman Aligner is a unique, custom-made appliance that provides an effective and straightforward solution for minor orthodontic problems. 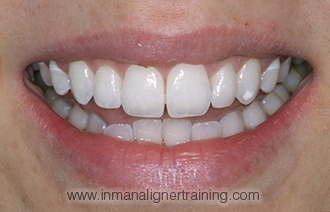 Unlike many orthodontic treatments, the Inman Aligner straightens teeth in a noticeably short time period. 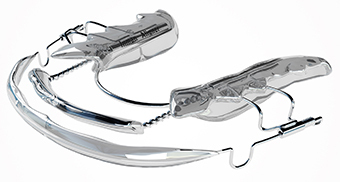 This effective appliance can produce excellent results in just 6-16 weeks, depending on the complexity of your case. 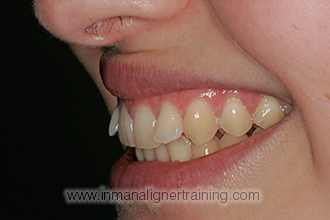 The reason the Inman Aligner works so fast is that it focuses primarily on the front teeth, and is designed to treat minor issues with misalignment. 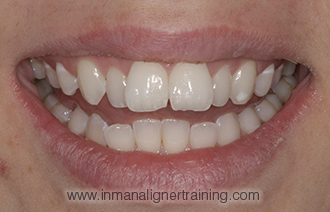 The Inman Aligner applies pressure to the teeth through a specially designed lingual coil and a labial bar. The lingual coil places force on the teeth and the bar pushes that force back. These two mechanisms squeeze the teeth together in a ‘push and pull’ technique, moving the teeth into the desired position in an incredibly short time frame. During your consultation at S10 Dental, we will provide you with all the necessary information and assess your suitability for treatment. 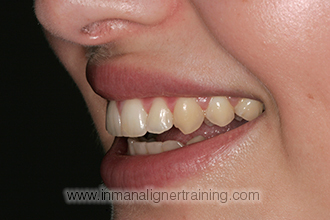 We also often use the Inman Aligner to realign teeth that have relapsed after past orthodontic treatment. If you’re interested in the Inman Aligner, arrange a consultation with us today to find out how it could transform your smile.